Martin O’Neill was immediately installed as a heavy favourite to be the next Sunderland manager following the sacking of Steve Bruce, but it is Mark Hughes who is being backed to take over at the Stadium of Light. Whenever a managerial vacancy is made available in English football, O’Neill is almost always touted as a leading candidate for the role, with West Ham, Nottingham Forest and Leicester among the clubs that he has been previously linked with. The same has now occurred at Sunderland, with O’Neill priced at 4/5 in the Premier League odds to take over and given the results he achieved at Aston Villa in his four-year spell at the club, he will be a popular choice. There is also a strong possibility that the Sunderland job would appeal to O’Neill as it is in the Premier League and he will also be given suitable funds from chairman Ellis Short to make some signings in the January transfer window. 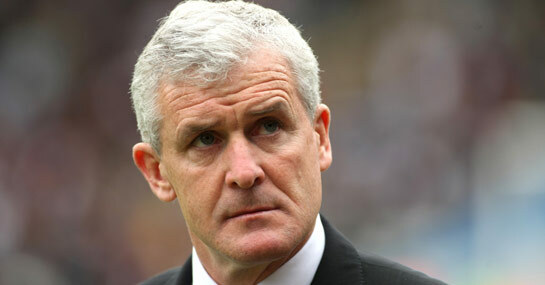 However, Hughes is also rated a serious contender for the job and he would be the number one choice of some fans. Hughes has previously done a solid job at a Blackburn team which were in a similar position when he took charge compared to Sunderland at present and was arguably achieving well at Manchester City before being somewhat harshly replaced. There are doubts that Hughes is not the most loyal of managers, but he has been supported from 7/2 to 11/10 to take over as manager. Former Sunderland defender Michael Gray, who also played under Hughes at Blackburn, is in no doubts that the Welshman is the right man for the job. Gray said: “He gets the best out of players. The last 15 minutes of games was when it counted, he had us so fit. And that’s what Sunderland are missing at the moment.